An extravagant and a lavish lifestyle of Dubai draw attention of millions of tourists from all around the world. Without any doubt, it is a city of dreams and a popular destination for shopaholics. Its majestic beauty lies in its traditions and modernity. Dubai’s desert safari can be an enthralling experience with camel ride and sand boarding. Exploring the signature towers, mosques architecture and exquisite beaches can add to your visual delight. Dhow Cruise, Safari World, Burj Khalifa, Palm Islands, Jumeirah Beach, Dubai Mall and the whole city tour are the places to entice. Arabian Nights and belly dancing are also the significant highlights of Dubai’s magnificent culture. Indica Travels & Tours let you explore all these highlights with best Dubai tour packages from Delhi. Experience complete glitz and glamour of the city with Dubai’s shopping festival held every year. We design exclusive packages in accordance with the plan, requirement and budget. With Indica Travels & Tours, we let you experience a complete thrilling journey to the heart of the desert. On arrival at Dubai, you will be met and assisted to hotel. Rest & relax the entire day or have the option to take a Dhow Cruise with dinner. Evening return to the hotel. After breakfast get set for the City tour of Dubai. Visit the major sights of Dubai, remainder of the day free to shop. After breakfast day free, afternoon take a desert safari, and entire afternoon spend time in Dune bashing evening enjoy belly with buffet dinner.Night back to hotel. After breakfast, Entire day free for shopping or explore Dubai on your own. Overnight at the hotel. Check out of the hotel depart for Airport. Dubai is becoming one of the famous tourist destinations amongst tourists from all across. Its majestic beauty simplifies the creativity of mankind. 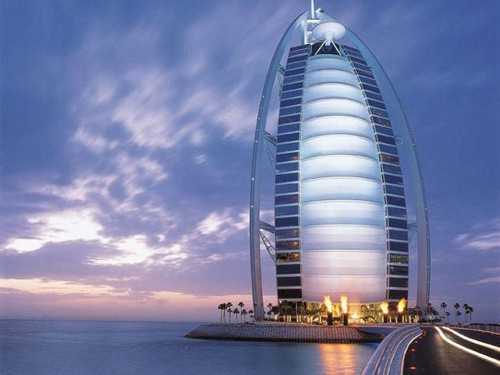 Indica Travels & Tours Pvt Ltd is offering you Dubai Tour Package from Delhi. Dubai has many places to explore like Burj Khalifa, signature tower popularly known as dancing towers, sand dunes, Burj al Arab, Poisedon Underwater Hotel, Palm Deira, Saint Paul de Vence by Matyas , Jumierah Mosque, Sheikh Zayed Bin Sultan Al Nahyan Mosque, Rendering of Zaha Hadid's Performing Arts Centre in Abu Dhabi. One thing you can find while seeing this magnificent creations is its unique designs. Enjoy your Dubai tour package from Delhi and feel lucky to witness the beauty of Dubai.